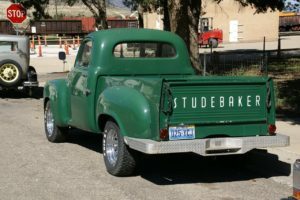 Studebaker truck image courtesy of Pixabay. Using pickups for work and play has been an American tradition for generations. 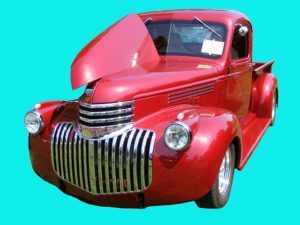 The love of the pickup truck has literally been passed down from father to son and you can still find classic models in the garages of the most avid enthusiasts. But classic or modern, the pickup retains its ironclad hold on drivers with good reason. Since its inception in the mid 1920’s, the pickup has offered a useful and rugged alternative to the standard car. With extra room and heavy-duty rear suspension meant to stand up to the heaviest load, the pickup has been America’s workhorse. The Chevy pickup has been one of the most popular brands and remains a big seller even in today’s tight economic times. So what is the mystique that makes this particular mode of transportation stand out? Perhaps it’s the fact that the ability to carry large amounts of cargo makes it both easier to get your job done or easier to get away from it all when work becomes too much. Nothing beats pickups for work and play, they give us the freedom we need and the power to do the job. Many particular professions, from construction and contracting to emergency services, rely on the rugged power of the pickup as a regular part of their job. Check most construction sites and you’ll find at least one Chevy pickup hauling lumber, tools and other supplies. That’s because they not only have the necessary cargo space, but are tough enough to rely on no matter what the working conditions. Of course, we’re not all about work and that’s why so many people use pickups for work and play. Whether you’re a do it yourself type who needs to haul supplies for your weekend hobby or you want to pack up your recreational gear and just get away, you can get what you need out of a well built pickup truck. A Chevy pickup in particular is designed to accommodate all types of trucking enthusiasts. From the small models to the larger ones with multi-passenger cabs, you can find whatever you need at your local car dealership. Models also vary in bed size, from trim size that can fit tools or fishing gear to larger ones that can haul your Jet Ski, dirt bike or boat. Using pickups for work and play has never been easier and with models available in two wheel and four-wheel drive, you can also find a pickup to suit any environment. From driving the city streets to hitting the uncharted territory off-road, your pickup will be ready to go wherever your fancy takes you and it will get you there in style. They say a real classic never goes out of style and that’s certainly true of the pickup truck. It’s become part of the fabric of this country and doesn’t show any sign of letting up on its hold. If you need a vehicle you can count on to get you where you’re going and beyond, look no further than a pickup. This is one truck that won’t let you down. The Internet allows us to easily research the decisions we make in advance so we can move forward with confidence when considering a Chevy Pickup Houston . Considering a wide selection of opportunities before we make a decision means we are more likely to make the right choice. For Chevy Pickups in Houston or in your area, from Los Angles to New York.